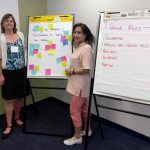 You may remember that starting in December 2018 and through January 2019, the BC Patient Safety & Quality Council conducted a provincial engagement with us to gather the members’ views on patient partner compensation. We’re excited to announce that there was terrific participation from patient and health care partners across the province and we are happy to share some of the high-level initial results! The first phase of the engagement was an electronic survey sent to our patient and health care partners in December. Following the survey, the second phase enabled participants to give feedback through interviews, focus groups and provincial webinars. These themes and the individual ideas and concerns that were shared are important to us and will be brought to the Council’s Patient & Public Engagement Team, as well as to our Oversight & Advisory Committee, for further discussion on moving them forward. We wish to express a heartfelt thank you to everyone who took the time to participate in the patient partner compensation engagement! As you can imagine, there was a lot of data collected and we’re busy drafting the report. Stay tuned, as it will be shared with you as soon as possible! My recollection is that the question initially relates to volunteer getting compensation above and beyond the volunteer position. In some areas volunteer had skills or capabilities that the Interior Health System needed and the question was compensation. My understanding at the basic level is that a volunteer is compensated for travel, accommodations and food for a specific task. The alternative is to employ a person directly or on contract through a consultant firm. This Email seems refer to other things because I see no specifics with the scope of the initial question. Please stick to the core issue and report the responses accordingly. Thank you for your comment and your interest in our work on patient partner compensation. We gathered a lot of information from the survey and following interviews, focus groups and provincial webinars, and we’re now in the stage of organizing and analyzing the data to create a report. 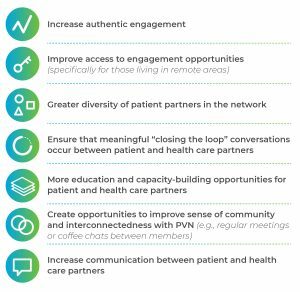 With this blog post, our goal was to inform how the first part of the process went and the next steps, as we strive to be transparent and keep our patient and health care partners in the loop in every step of the way. Please let us know if you have any questions, we’ll be happy to answer! I agree that if there is compensation then the individual is being paid, as employee or contract, and this is not what volunteering means to me. Being paid money takes from me the sense of feelings that come with giving of myself,(knowledge, experience and training) for/to others. 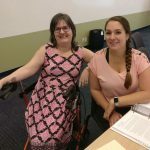 There are other ways to compensate that would be more beneficial to both the volunteer and those receiving the information from the volunteer, such as training, attending conferences and/or forums, occasional face to face meetings. 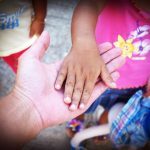 All would increase trust and greater use of the volunteer and what they have to give.